Baglamukhi yantra is very powerful and useful yantra for victory over enemies, law suits, success in quarrels and comprtitions. The presiding deity goddess Baglamukhi is the conroller of this powerful Yantra which encharges Yantra with occoult forces. Baglamukhi yantra is useful for victory over enemies, success in law suits, quarrels and compettitions. 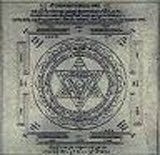 The worship of this yantra is performed in a particular star and moment when there is maximum power generated from the planet MARS, by wearing yellow dress, on yellow asana, with yellow flowers and yellow beads.